In 2011 CO2 Bambu was awarded with a historic contract to build 82 bamboo-based homes in Rosita, Nicaragua as part of the Hurricane Felix reconstruction effort. 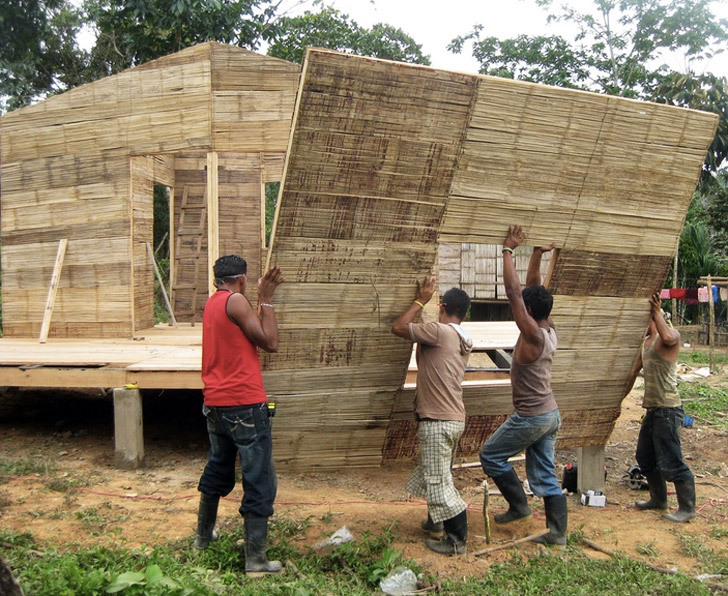 Up until then, the options available to the municipality, regional government and funding NGO had been either concrete block homes or timber homes, however CO2 Bambu emerged with an innovative design that uses local, native Guadua bamboo as its core building material. Fast forward to early 2012, and not only did CO2 Bambu deliver all 82 houses, but it also built the largest bamboo processing factory in Central America, trained a cadre of builders, technical supervisors and civil engineers, and achieved formal recognition for Guadua bamboo construction from the Nicaraguan Government’s Ministry of Transport and Industry. 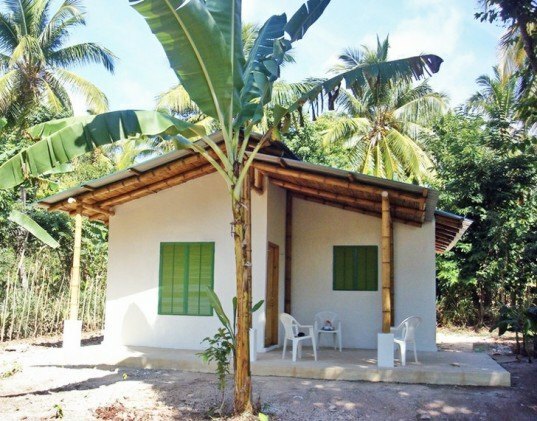 Recently the World Bank opted to throw its weight behind CO2 Bambu’s low-carbon solution for low-cost housing for Nicaragua. In June 2012, CO2 Bambu was awarded another contract, administered this time by the Government of the Autonomous Atlantic Region – North (RAAN), to provide dignified ecological housing for victims of Hurricane Felix. Five indigenous communities in the region of Puerto Cabezas, also known by its indigenous name Bilwi, will receive a total of sixty houses. These 42 square meter homes are similar in construction to the eco-homes CO2 Bambu built in Rosita, although they’re a bit bigger. The environmental benefits are significant, as the construction of Guadua bamboo-based homes reduces pressure on local timber forests. Ben Sandzer-Bell, Founder and CEO of CO2 Bambu observed that “Considering that the need for these homes stems from the destruction of homes from a hurricane, and that the link between climate change and increased hurricane activity has been amply demonstrated, it is encouraging to CO2 Bambu that the World Bank took notice and supports an initiative to deploy low-carbon footprint housing solutions. With this contract, we are reinforcing our position in the world of Post Disaster Reconstruction, with low carbon footprint solutions”.